Dr. Irene Nosrati is a Silver level Preferred Provider with Invisalign and will be happy to provide a consultation to determine if you are eligible for Invisalign treatment. 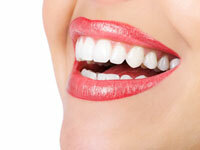 The aligners are made through a combination of Dr. Irene or Dr. Erez‘s expertise and 3-D computer imaging technology. As you replace each aligner with the next in the series, your teeth will move – little by little, week by week – until they have straightened to the final position Drs. Irene or Erez have prescribed. You’ll visit Drs. Irene or Erez about once every 3-6 weeks to ensure that your treatment is progressing as planned. Total treatment time averages 6 – 12 months but will vary from case to case. When starting Invisalign treatment, you will be shown a digital simulation of the final position of your teeth so you can see your end result before even starting!